A pair of new studies coinciding with the opening of this year’s UN climate conference in Katowice, Poland shows oil consumption increasing, greenhouse gas emission accelerating like a “speeding freight train”, and average global warming on track to exceed 1.5°C as early as 2030—10 years ahead of the 2040 turnover year recently projected  by the Intergovernmental Panel on Climate Change. While global greenhouse gas emissions flattened out between 2014 and 2016, they grew 1.6% in 2017 and they’re on track to increase 2.7% this year, the Washington Post reports. Carbon Brief says  that will be the fastest annual increase in seven years. Yet China says its carbon intensity—the greenhouse gases it emits per unit GDP—fell 46% from 2005 to 2017, well ahead of its target of 40 to 45% by 2020. In a separate commentary for the journal Nature, authors Yangyang Wu, Veerabhadran Ramanathan, and David G. Victor point to three trends they say will bring faster global warming. 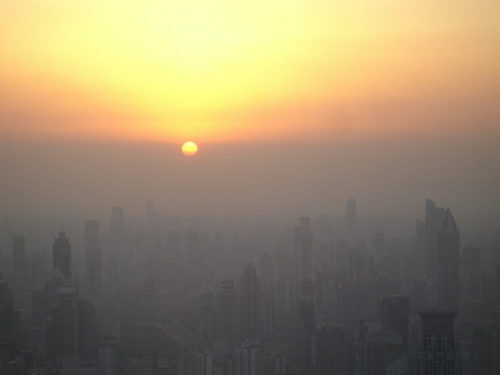 Rising emissions, declining air pollution, and natural climate cycles “will combine over the next 20 years to make climate change faster and more furious than anticipated,” they write . “In our view, there’s a good chance that we could breach the 1.5 °C level by 2030, not by 2040,” as projected in the IPCC report.